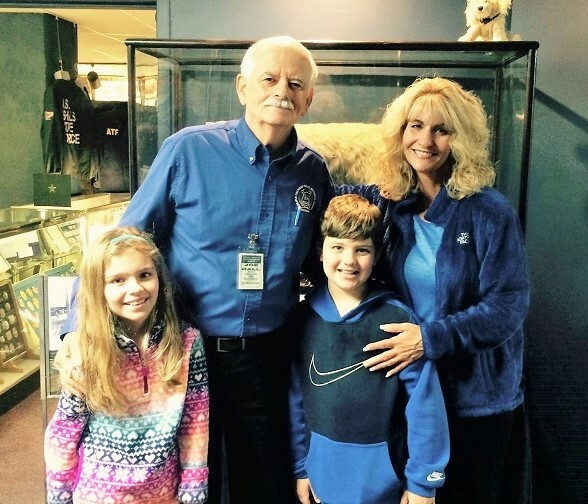 FOX19 NOW Morning News Digital Producer Jennifer Baker and her children visited the Greater Cincinnati Police Museum on Nov. 5. She posted this recollection of the experience on her personal Facebook page. 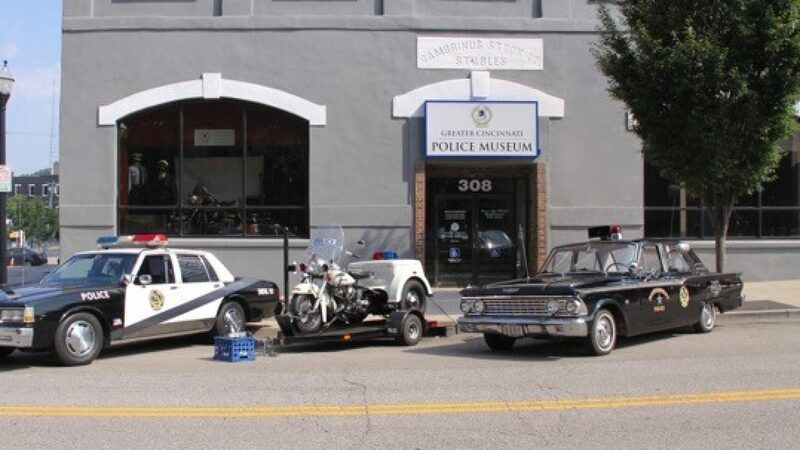 I was planning to take my children to the Greater Cincinnati Police Museum for their first tour today long before three police officers were gunned down this week, two in Iowa and one in New York, the most recent a father of two sons, 3 and 4. These tragedies made our trip all the more poignant. The always gracious and dedicated retired Cincinnati Police Lt. Joe Hall showed us around, patiently explaining with encyclopedic exactness all the displays of uniforms, guns, finger printing machines, lie detectors, etc. 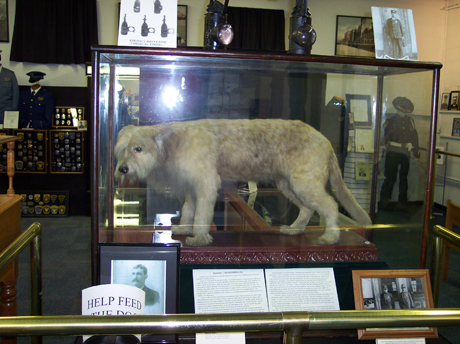 Our trip began with and ended in front of the glass case holding Handsome, CPD’s first police dog. He sits just to the right of long rows of framed photos of all the men who died in the line of duty in our Tri-State area. When we first arrived and the kids marveled over the stuffed and preserved Handsome, I found myself beginning to explain to my 8-and 9-year-olds the stories behind the photos on the wall. I pointed out the ones I had reported on. One of them, Cincinnati Police Officer Kevin Crayon, died on my second day on the job at the Cincinnati Post in 2000. I didn’t have time to go into much detail before our tour began but, now that we are back home and I am posting pictures from our trip, I find myself remembering that Officer Crayon had just taken his dinner break and eaten country fried steak, mashed potatoes and drank coffee with cream at Perkins and returned to patrol when he tried to stop a 12-year-old boy behind the wheel of a car. Trying to get away, the boy then inadvertently almost backed into a family with children. Officer Crayon was dragged and eventually fell back onto the road to his death. He was just 40. I covered his funeral with Post Police Reporter George Lecky. The veteran newsman was so kind and taught me so much in such an amazing short period of time (he retired four months after I started). He told me to observe, not to intrude, and to always, always, always be respectful. He explained the customs of a police funeral: the playing of “Taps,” the folding of the American Flag, the 21-gun salute. We stood back at the cemetery and watched as several District 5 officers gathered together, some with pregnant wives, George noted, the circle of life going on for these men in blue despite just losing two brothers in the line of duty three years earlier, Officer Daniel Pope and Specialist Ronald Jeter, and now Officer Crayon. I learned more that day than an entire year in college. Warren County Deputy Sheriff Brian Dulle was trying to stop a fleeing suspect when the vehicle speeding more than 100 mph hit him. It instantly killed the 36-year-old father of three small children, including one who is a cancer survivor. This occurred about 2 a.m. in May 2011. By then, I was the morning breaking news reporter at the Cincinnati Enquirer. I made my usual round of calls to the various county dispatch centers (Anything major overnight?) and quickly found out there was a bad accident involving a deputy. Call the Ohio State Highway Patrol’s Lebanon post, I was told. When I did, a lieutenant came on the line. He spoke quietly and sounded absolutely drained. He said the deputy had passed from his injuries. I will never forget that. It felt like I stopped breathing for a second. I slowly asked you mean he has died in the line of duty? Yes. Yes, I am sorry to say he has. I am not ashamed to say I cried and it felt like my whole body started to shake. I immediately offered my condolences, finished the interview and called my boss at home to wake him, which I had never done before. Last summer, on a quiet June morning, I was on the assignment desk at FOX19 when just two words exploded out of the police scanner that changed so many lives in so many ways forever: “Officer down!” The dispatches that followed indicated the officer was shot in the chest, and the gunman was still in the area. As police responded, we at the station scrambled crews toward the scene. I kept listening to the scanners so I could let our team know the latest and began typing the beginning of the story no journalist ever wants to report. I heard the officer was being rushed to the hospital. I thought if he was shot in the chest, surely his bullet proof vest protected him from a mortal injury? But, shortly after Sonny Kim arrived at the hospital, the Color Guard showed up. I knew what that meant. Officer Kim was not going home to his wife and three teenage boys. He was 48. He wasn’t even supposed to be working that morning, he picked up an extra shift for the money. Officer Kim was a 27-year police veteran, but he was also Sensei Kim, owner of the Japanese Karate-Do dojo and its main karate instructor. I never had the privilege to meet these heroes, I regret to say. But I will never forget them or their sacrifice, or that of their families. Originally published on Facebook by Jennifer Edwards Baker on 11/5/16 and posted here with her permission.